The world is in need of ideas for a better, more sustainable future, but ideas are not enough. 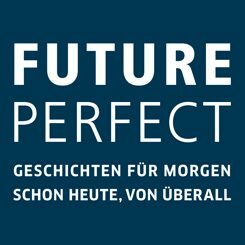 FUTUREPERFECT, an international and multilingual internet platform, tells the stories of individuals, initiatives, organizations, and businesses from here and elsewhere that have moved from ideas to action. Executives from Canada’s biggest banks came together with other companies, landlords, the government and volunteers in a Race to Reduce. The amount of carbon emissions they saved is the equivalent of taking 4,200 cars off of Toronto’s roads. ​In Vancouver, British Columbia, a fun running and walking race tackles climate change. The event produces no waste and is powered by solar energy and bikes, while participants raise money for renewable energy projects.